The boys are back with another creator spotlight, this time on writer Kurt Busiek! From his early days on Justice League of America and Power Man and Iron Fist, through his career-making work on Marvels and Astro City, right through to his current work on the weekly maxiseries Trinity, the guys break down all of his work, talk about their favorites and least-favorites, and discuss the next project he’s going to be involved with, Wednesday Comics. In the picks this week, Blake recommends Batman: Battle For the Cowl #1, Mike dug Action Comics #875, and Chase is all about Thor #600. 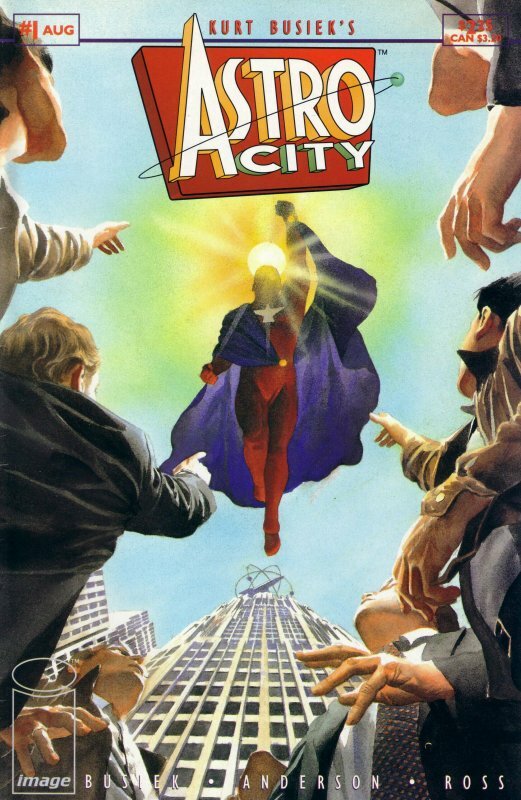 This entry was posted in Showcase Podcast and tagged Action Comics, Astro City, Batman, Battle For the Cowl, Iron Fist, Justice League, Kurt Busiek, Luke Cage, Marvels, Power Man and Iron Fist, Superman, Thor, Trinity, Wednesday Comics, Wonder Woman. Bookmark the permalink. ← Week in Geek #14: Battlestar Galactica Finale, Dollhouse “Game-Changer” and More!